Our home is full of noise and little people. I am no longer alone in the afternoons and evenings when my chef/husband is working. I am surrounded by 3 children. Yet somehow I still get lonely. The kids keep me company and talk my ear off. (I love them dearly, but do wish the house was a bit quieter.) I always have someone to do something with, although it might be playing a game of Go Fish or Just Dance instead of going out for a nice quiet dinner or going on a quiet walk. How is it that my life is full of people I love, yet I’m still lonely at times? For me, it’s because of 1 reason. And as I think about it, it’s actually a really good reason. I am lonely because I miss my best friend. Of all the people here on earth, my chef/husband is the one I want to spend time with and when he is working a ton of hours, I miss him and get lonely. I miss talking about life. I miss laughing. I miss him making jokes. I miss him helping cook. I even miss him falling asleep on the sofa next to me because he’s so exhausted from work. I just miss him! While this loneliness of being a chef wife, stinks, I am so glad to be married to my best friend and that after 19 years, we still want to spend time with each other more than with anyone else. During those times I’m feeling lonely and really missing him, I try and think of something we’ve done together recently or look forward to a time soon he is supposed to be off. I’m thankful for hobbies that keep me busy on the nights he is working. I’m thankful for friends who come over and keep me company. 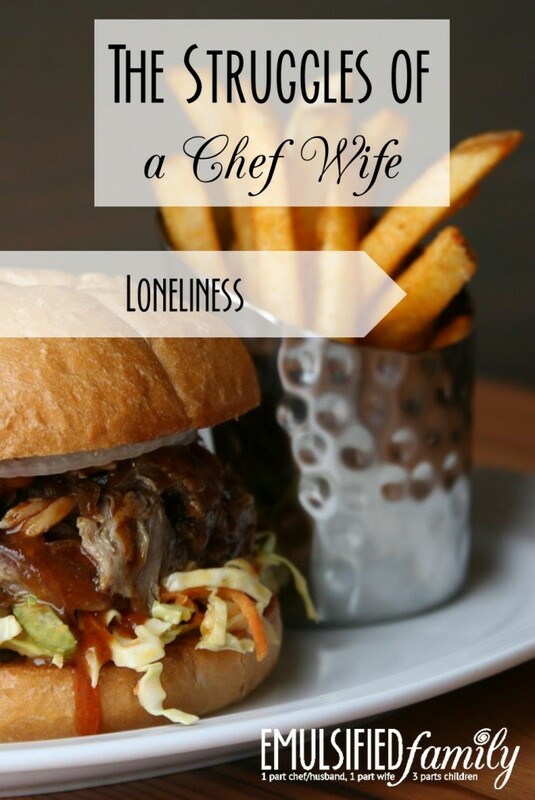 Being alone and lonely isn’t easy as a chef wife. Is that something you struggle with as well? What do you do to keep busy when your chef is working? 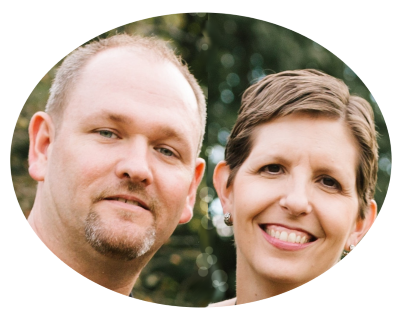 My husband is a pastor who also has to have a second part-time job to make ends meet so I know what you mean about spending long hours away from your best friend. Sometimes when I’m really lonely I send him a quick email/text telling him how much I miss him and love him. It’s a nice way for us to connect without pulling him away from his job for a phone call that could potentially get too long. It’s nice though to know that the loneliness means you married your best friend. Martin Luther has a quote that I love, “Let the wife make the husband glad to come home and let him make her sorry to see him leave.” One of these days I’m going to get that printed up for our bedroom wall because I think it fits our marriage. what a sweet post! I love the way you describe missing your best friend, what a true mark of a great couple! To add to this.special occasions like christmas ,our hindu festivals and here in dubai when people are planning the long weekend on eid, it leaves a feeling of sadness.im struggling to maintain this relationship .i eat all my meals alone .i m just not happy.may be a little more sad today. Yes – special occasions and holidays are even harder. And eating meals alone gets old really fast. 🙁 I’m so sorry. There no exaggeration in this article. In my household we have 2 chefs, 2 cooks and a dishwasher. Everybody works Saturday’s. My wife the Pastry Chef finally had a Saturday off and she had the place to herself. I don’t schedule myself to have Saturday’s off because everyone works and I get lonely. That’s a lot of crazy schedules in one house. Are you ever all off at the same time? This made me cry, and I’m not a crier. I spend a lot of time alone and with the kids. Friends want to do dinner and if it’s on a weekend I know my husband will be at work. His intense work ethic is a blessing and a curse. It’s nice to hear someone else feels that way. I’m feeling the same! He had just gotten off of work, and he didn’t really talk to me or tell me about his day. That night, he said goodnight and I asked him if he loved me. He just said yeah. Sometimes it’s hard not to think that everything is related to me and our relationship. I sometimes thinks he doesn’t love me anymore. But I have to remember he worked 15 to 17 hours each day and is exhausted. I wouldn’t want to talk either if I worked that. Great blog though! It’s very relatable. Good point. I probably wouldn’t want to talk either after working that many hours! Hang in there! After working in the restaurant industry for over 18 years on amd off before finishing my degree and working in social service and now education, you think I’d be used to his schedule. Nope, the loneliness doesn’t get easier nor does explaining it to others. I often get asked or told repeatedly every church visit or family event or otherwise “he’s working”. I used to come home and cry and yes, again, you think I’d be used to it… But no, I was a cook, server and a bartender. Yet he’s a sous chef and an exceelent one at that. Needless to say, he’s at the beck and call of the restaurant and sadly, no, it doesn’t get easier. 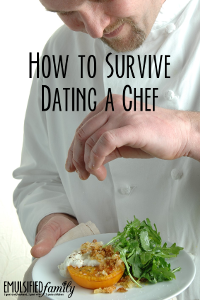 One of the myths that drive me nuts when I get asked frequently when someone asks what my husband does is…”he must cook for you ALL the time” or “you must eat good”. Yep, that’s true on occassion and yep, my kids and I have expanse palates and my kids have had many exotic eats more than the average. However it sometimes grows angst riding when you meet someone and they ask and it’s just a reminder of how lonely you are. Those kind of comments drive me crazy as well, and I agree, they are a reminder of the difficulties we face. Hang in there! More often than not, there’s a lot of ignorance with the field. 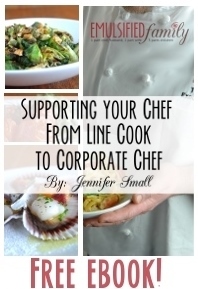 Many people have this belief that Food Network and PBS and the like show what true chefs do. I have had numerous conversations with so many educating them this is not the case. Thank you for all you do and thank you for creating such an outlet for chef wives to have a place to support each other.